Welcome to our free printable for sale sign gallery. 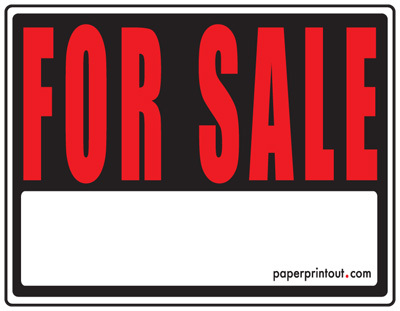 Here you will find many for sale signs to print that are useful for selling your home, car or anything you want to unload. 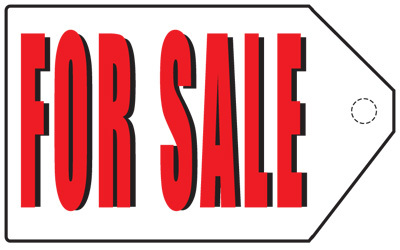 Our hang tag for sale sign allows you to paste a picture of your item so you can hang it up in grocery stores, posts offices, party stores and the like. Just include your contact number with a short desriptions and interested people can pull a tag and take it with them. Here's a tip... 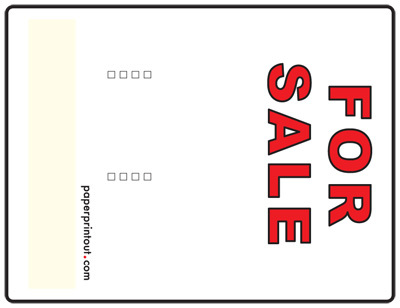 Pull a couple of the hang tags off before you display your for sale sign. It will generate a little more interest. 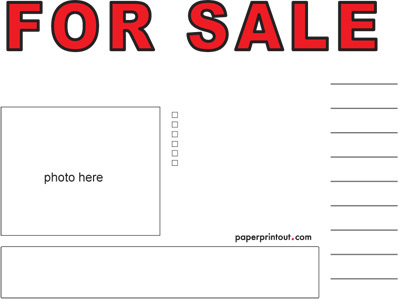 You'll also find a large tag for sale sign to printout and your standard free for sale sign template to print. Use them for about anything you have to sell.